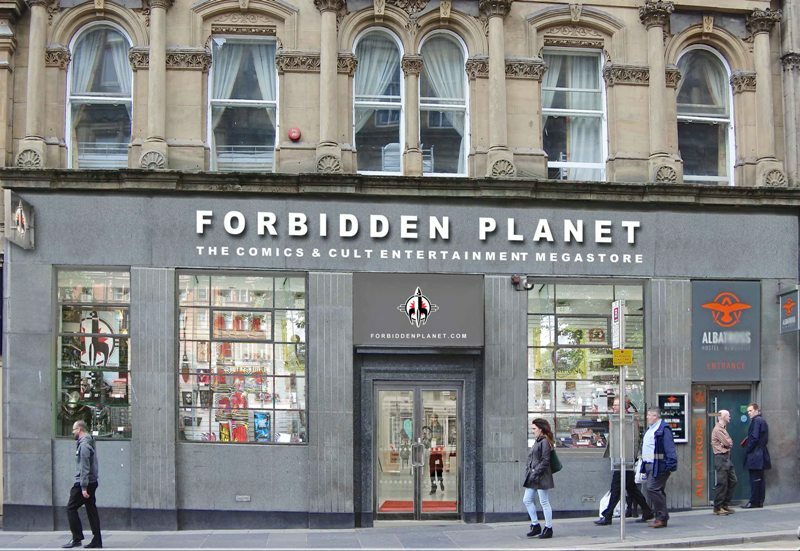 The Forbidden Planet store in Newcastle is a popular haunt for many, so many in fact that it’s had to spread its walls just a little wider. A new megastore comes to Newcastle, with 49 Grainger Street set to be home to the biggest sci-fi and cult entertainment megastore outside London, with a grand opening set for Saturday 18th February. Forbidden Planet is the world’s largest retailer dedicated to cult entertainment and has long since supplied the people of the North East with wonderful comics, figures and general geekery. With almost 40 years experience, their knowledgeable and welcoming staff have made many of us call that place home. Browsing through books and treats, there’s now going to be over a kilometre of shelving, and an even bigger range of merchandise than ever before. Newcastle should feel very proud of this store when it arrives, as it’ll launch another legion of comic fans, books fans and people with the most interesting of interests. For those of us already into the good stuff, you know where to go. The Forbidden Planet Megastore opens on Saturday 18th February.